Well, it happened. 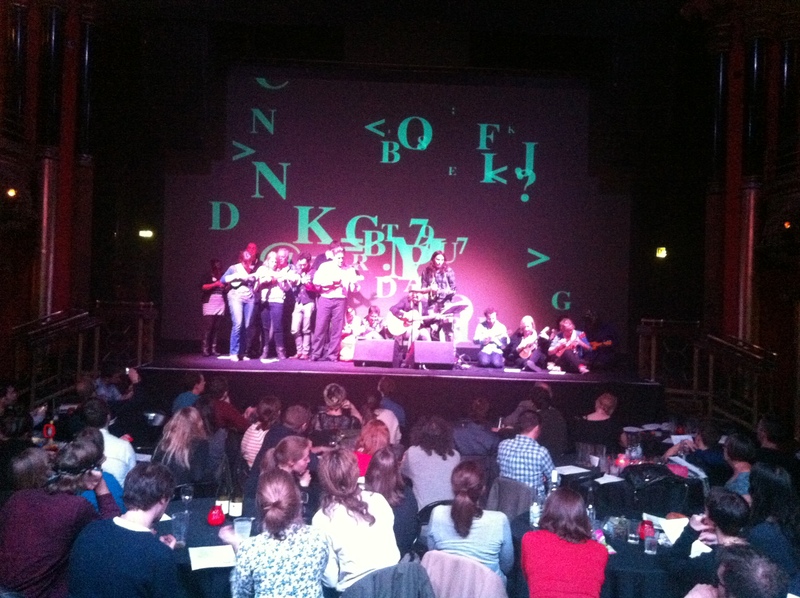 A lovely bunch of @learntouke competition winners and Learn To Uke course alumni took to the stage with the wonderfully talented Cerys Matthews last night, for Book Slam at the Clapham Grand. The Welsh Singer, Songwriter, Broadcaster (listen to her gorgeous voice every Sunday morning from 10am-12pm on BBC 6 Music) and Writer was promoting her new book in old London Town. Didn’t know Cerys has written a sing along book? – Hook, Line and Singer: A Sing-a-long Book which is good for all the family. Apparently, even after all the years she has spent in the music business, she loves nothing more than to sing in good company. We agree. It has to be said that the lady has great taste. Sing and play along we did. We had a fantastic time! Win! 2 Tickets! 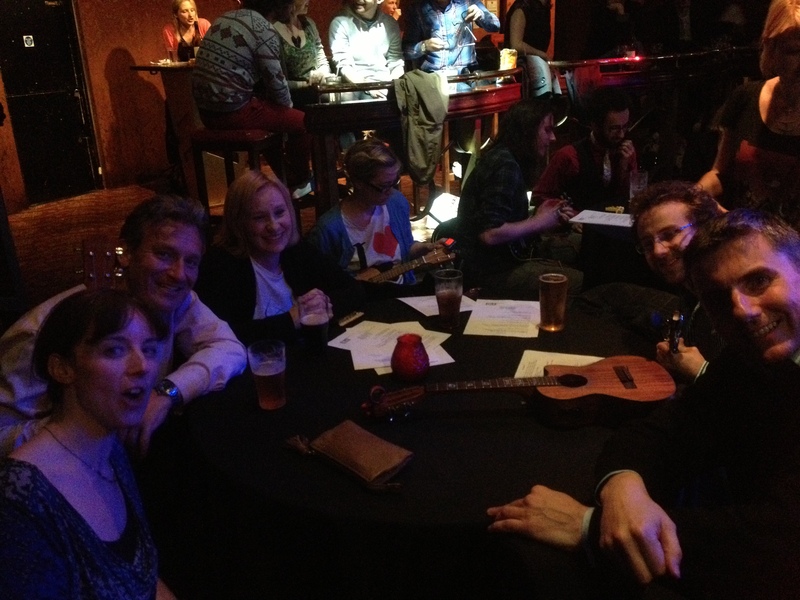 Strum with Cerys Matthews! 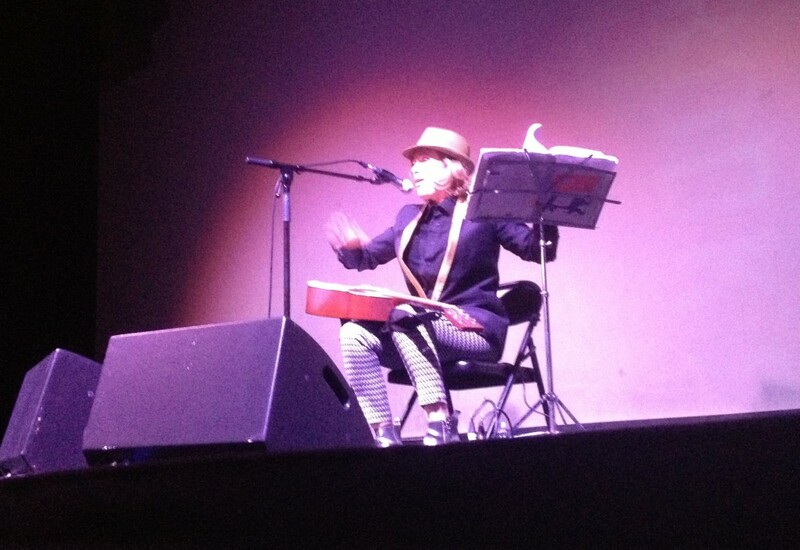 You could strum along with Cerys Matthews! 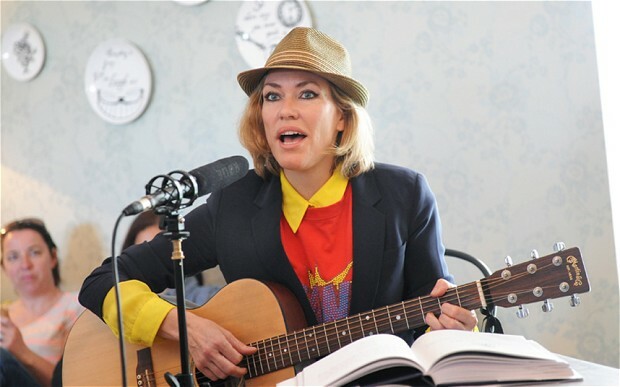 You can go and sing and strum with the gorgeous Cerys Matthews next Thursday, for Book Slam at the Clapham Grand. That’s right! The Welsh Singer, Songwriter, Broadcaster (listen to her gorgeous voice every Sunday morning from 10am-12pm on BBC 6 Music) and Writer. Yes! Cerys is a writer, and she has written a sing along book – Hook, Line and Singer: A Sing-a-long Book which is good for all the family. Even after all the years she has spent in the music business, she loves nothing more than to sing in good company. The lady has great taste. So, what better way to spread the word about it than to invite amateur musicians to play and sing-a-long with her? I, for one, will be right there in the front row! Want to win the chance to sing and play-a-long with Cerys? All you have to do is follow and RT the competition on @learntouke or like our facebook page then share and comment on the competition link to win! Winners will be notified on Wednesday 12 June. If you don’t win, you can always grab yourself a ticket, and read all about the event here. And, to prepare yourself, you should download a copy of the song sheet O Susanna that we’ll be playing with Cerys. Exciting! Want to get ahead of the curve? Grab yourself a copy of Cerys’s Book before the event! Go here to buy a copy! https://www.learntouke.co.uk/wp-content/uploads/2015/10/email-uke-logo1-300x180.jpg 0 0 Lorraine Bow https://www.learntouke.co.uk/wp-content/uploads/2015/10/email-uke-logo1-300x180.jpg Lorraine Bow2013-06-08 10:27:562015-11-20 17:55:21Win! 2 Tickets! Strum with Cerys Matthews!